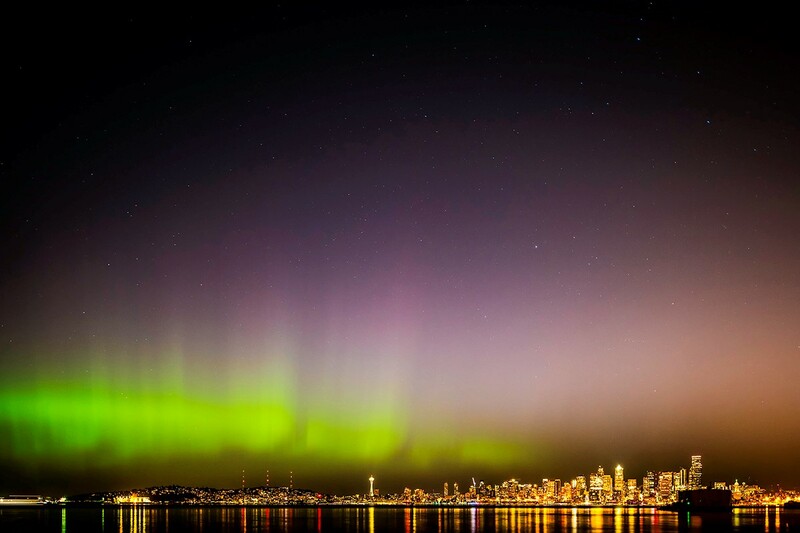 Aurora dancing over downtown Seattle. Kp 6 was expected until 8pm, and air clarity was super clear in Northwest on the 27th of September. I knew we might be able to capture northern light by going north such as Mt. Baker, but based on the air clarity, I decided to challenge capturing the northern lights with Seattle downtown. The northern lights exploded while I was capturing a time-lapse around 11pm. Thanks to my photo god. You may also view time-lapse movie for this event HERE. See more of Yoshiki’s work by visiting his website.